This entry was posted on September 17, 2018 by Howard Mee. Synthetic materials build up bacteria and start to stink pretty quickly. For hunting purposes, I won’t wear a synthetic base layer for more than two days at the most. Merino wool, however, is different. 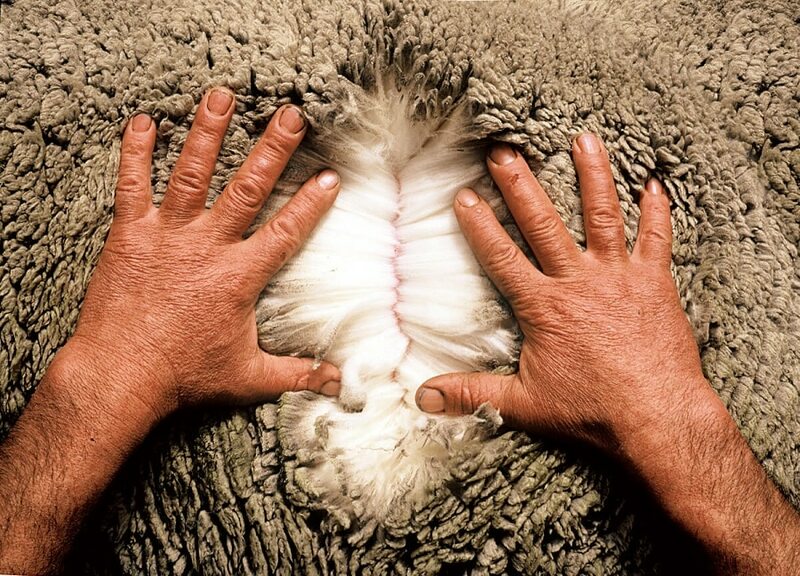 Merino wool is a freak of nature. It essentially does not stink, even when you sweat. Unofficially, the longest running “days of continual use” for a single wool garment without stench is 212 days! Various military units around the world will wear merino wool for one hundred days at a time without developing body odor, even in the arid climate of the middle east. How in the world is this possible? Sarah Everts has conducted extensive research on the science of perspiration. She says, "The problem is that bacteria living on our body like to eat some of the compounds that come out in our sweat." Eccrine glands, all over the body, and apocrine glands, found mostly in the armpit and genital areas, secrete various compounds that are consumed by bacteria, which in turn release molecules with a smell we recognize as body odor. In short, our sweat doesn’t stink. Bacteria feeds on the salt & fats in our sweat and that in turn releases odor molecules. Here’s the deal. 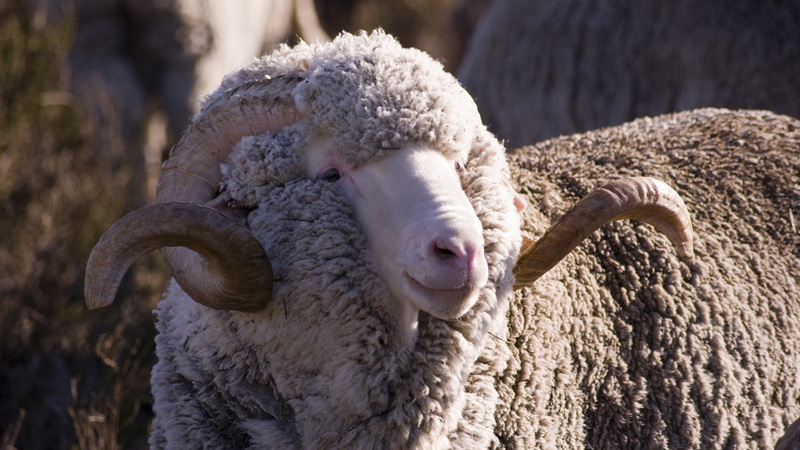 Merino wool has natural, anti-microbial properties in each fiber. Since it is antimicrobial, the bacteria that feeds on our sweat cannot adhere to the wool fibers! How amazing is that?! A naturally odor resistant material sounded unreal to me, so I decided to put it to the test. 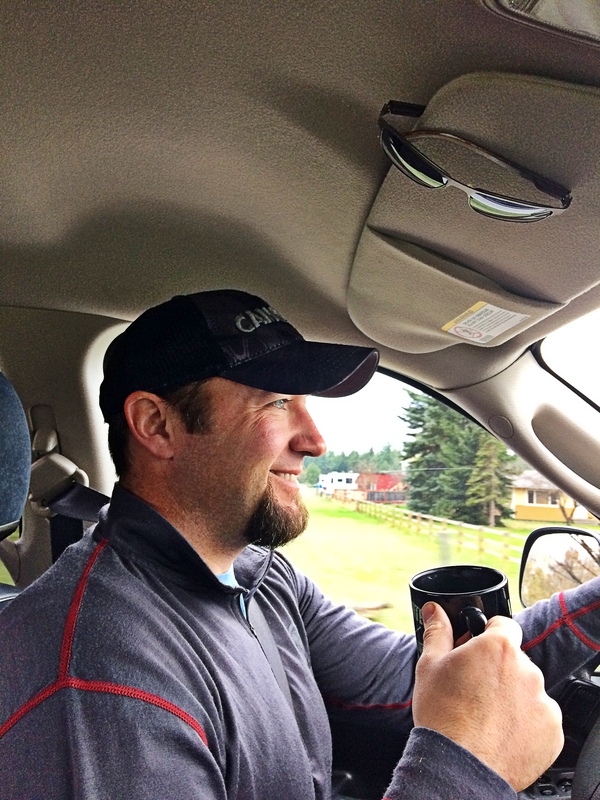 I wore my BlackOvis NWT Merino shirts, hats and gloves as much as I could. I wore it biking and hiking and hunting. I wore it when I dropped my kids off for school. I wore it to track meets and lacrosse games. I wore it to work and I wore it church and I wore it to the gym. I’m the kind of guy that will sweat while standing barefoot in the snow. I once lost ten pounds of water weight in a high school wrestling practice. So gross! I put these shirts through the paces. I didn’t wear them every single day, but from April 18th until May 31st, I wore the line as much as I could & I didn’t wash them. On May 29th, after 42 days, I could start to smell some armpit stink coming from the 150 Crew Short Sleeve Tee. In fairness, this is the garment that took the brunt of the sweat. It is also the only garment in the BlackOvis NWT line that is a 50% merino wool, 50% polyester blend. The point is that a single shirt can endure days upon days of hunting and never betray you. As a hunter, this is huge and it speaks directly to the issue of pricing. One of the criticisms of merino wool is that it is too expensive but I don’t think it is. Personally, I think the price for the value is absolutely appropriate. Some rancher in New Zealand is caring for a flock of merino sheep. The herd has to be cared for. He has to have a breeding program to maintain his flock and continue to produce a quality product. Then they have to shear the sheep, get the wool to a fiber mill where it is processed into usable threads. The usable wool has to be purchased by a manufacturer and then sewn into a garment. The garment has to be shipped and resold, etc. So when I can spend $67 for a 1/4 zip top that will last my entire hunt, then I say that is a really great deal! Especially, when one piece of solid hunting gear can replace a handful of synthetic tops! That is valuable! A single shirt saves space, it saves weight and you save money in the long run. Side note: The merino will prevent the build up of odor within the garment itself but it will not eliminate your scent. If you smell like a wet sock, then you can’t expect the wool to remove the stink. Just FYI. Once I became convinced of the antimicrobial properties of the wool, I turned my attention to my next concern. Were these tops durable? As I read and studied about merino wool, one of the comments that kept coming up was the issue of durability. This was a huge red flag for Howard! Longevity and durability are pretty much always my greatest concern. I’m a neanderthal. I ruin stuff. In addition to my destructive nature, I had purchased a lightweight, merino wool, base layer from a different company 8-9 years ago and it literally fell apart. That company has since corrected the problem and produces phenomenal gear, but that negative experience was still in the back of my mind. I had absolutely no issues with the BlackOvis NWT line. When they arrived in the mail, I noticed a small hole, in the left forearm of the 250 ¼ Zip Hoodie. So far, it has not grown in size or started to come unraveled. 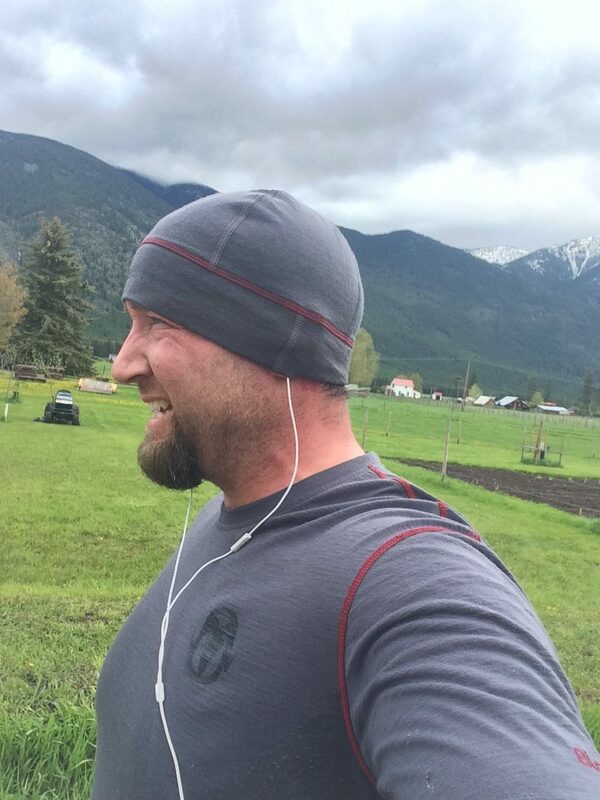 After my very first hike in the 150 Crew Short Sleeve Tee, I found pilling around the armpit area and along the ends of the short sleeves. This was frustrating. I did a little research and it seems as though all wool blends are prone to pilling. Throughout the 45 day period, the pilling became less and less obvious. Since it didn’t affect the shirt’s ability to perform, I had actually forgotten about that initial frustration until I read over my notes to write this review. My only other comment on the pilling is a word of warning. Do not pull at the balls of fabric. If they bother you, there are a million different tips and tricks online to help remove them. Wool is also fire resistant. I absolutely hate it when tiny embers fall on my gear. Oh my word! I’m getting angry right now as I type this. How many tents, sleeping bags, gators and high performance outer shell jackets do we have to lose to those evil embers? It’s nice to know that those floating little demons won’t ruin your wool layers. For me this translates into longevity. These base layers also have the ability to keep you warm, even when wet. I will refrain from going full geek, but there are a few things you should know. Sheep live in a wide range of temperature environments. Their wool has to protect them from both extreme heat and cold. 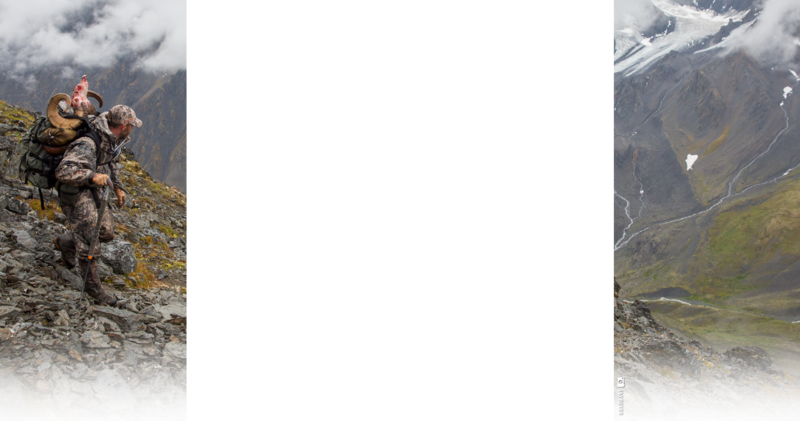 Each individual wool fiber has about seven layers. This level of intricacy in not found in synthetic fibers. The outer layer of the fiber, the cuticle layer, repels water. This is why it makes such a great base layer. It pushes the sweat vapors away from your body. In contrast, the core of the fiber will hold on to water for a long time. If you dunk your wool shirt in a creek on a hot day, it will keep you cool longer. Amazingly, even on a cold day, when your sweat has overloaded the carrying capacity of the fibers, wool will still keep you warm. Most of the amazing attributes that I have mentioned so far are common to just about all merino wool products. So, let's talk specifically about the BlackOvis NWT shirts. The stitching is phenomenal. We all know how frustrating it can be to pop a seam and watch a garment unravel as you wear it. There are two things that stood out to me about the BlackOvis NWT seams. 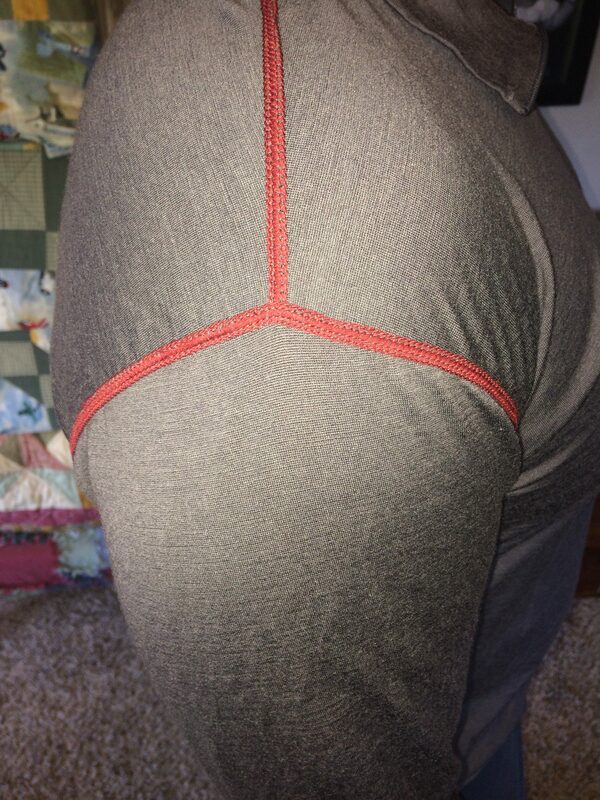 First of all, they are designed so that if you snag a seam, it won't unravel the shirt if it runs away on you. Secondly, the seams are oriented on the shirts in such a way as to avoid the possibility of developing hot spots on your shoulders when wearing your pack. Very wise design. The 200 weight shirts have a single seam that runs along the center of your shoulder, but there are no other intersecting seams that could create a hot spot under the strap of a backpack. The 250 ¼ zip hoodie is even better. It is designed so that there are no seams on the shoulders at all. The only real issue I had with any of the garments was with the 250 ¼ zip hoodie. It is too small. In my opinion, they were labelled wrong. I have several XL, BlackOvis T-shirt as well at the other NWT shirts for comparison, and the 250 ¼ zip hoodie is simply sized wrong. I visited with BlackOvis and asked with them about this issue. They are going to contact their manufacturer and get the labeling issue resolved. In the meantime, if you are buying a 2018 ¼ zip hoodie, I recommend that you order a full size larger than normal. That being said, it was my favorite piece! It just feels super solid. 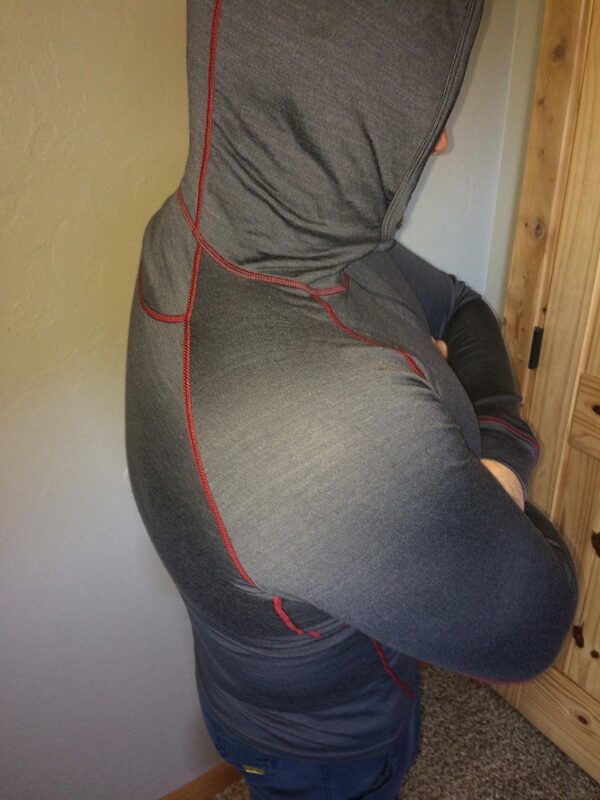 Maybe it is because it is a midweight base layer and there is more merino to touch, but it feels great. I’m very excited to push the limits of its performance later this winter. The 250 ¼ zip hoodie has another feature that is worth mentioning. Its hood doesn’t block your field of view like most hoods. It took me awhile to notice this. I was wearing a rainproof shell over the 250 ¼ zip at a track meet. The rain stopped, so I took off the hoods. The wind picked up, so I pulled the merino wool hood back on. The rotating “hood game” played out several times throughout the day before I noticed how much better I could see when I was only wearing the merino wool hoodie. Very cool! I can totally see this paying off while hunting in the timber. My recommendation, is that if you only buy one piece, buy the 250 ¼ zip hoodie! To end the test, I washed and dried the shirts. I washed them according to the recommendations on their tags, and they came out great. The BlackOvis NWT line was impressive. I’m glad I bought them and I look forward to using them. If anyone has any questions, feel free to reach out and ask! This entry was posted in on September 17, 2018 by Howard Mee.